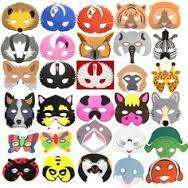 Masks are great for creative play. They can be used for free play or to reenact stories. It’s easy and fun to make your own masks (we’ll have free downloadable mask patterns coming soon), but sometimes it’s easier to go with the ready-bought ones. They’re just as much fun to play with. 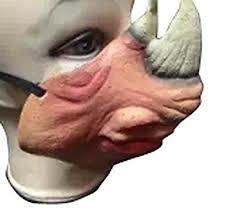 For example, here’s a set of 30 foam masks your child will love to play with. They’re suitable for children ages 3 or older. The animals included are: a red parrot, blue parrot, eagle, giraffe, black swan, white swan, hedgehog, badger, sheep, sheepdog, cat, pig, frog, wolf, tiger, rabbit, elephant, zebra, meerkat, gibbon, yellow butterfly, blue butterfly, bee, ladybird, shark, seal, turtle, penguin, dolphin and clownfish. If you’re looking specifically for the characters from Who’s in Rabbit’s House?, there is a rabbit, frog, wolf (which can be used for Jackal), and elephant, but no rhino, leopard, or caterpillar so you’ll have to supplement those. To fill in those gaps, or if you prefer something more realistic, you might like these. You can learn more, read reviews, or make a purchase by clicking on the picture or on the animal’s name. Make sure the sizing is right for your child. 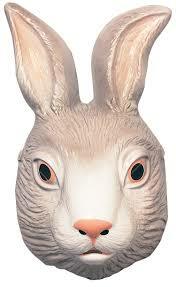 Rabbit – I like this one, because it has a lovely, realistic face. It’s a face mask, not an over-the-head mask. 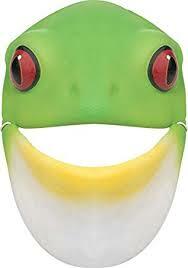 Frog – This simple foam mask looks like it would be easy to talk and breathe in. Plus, it’s very cute! Jackal – Technically, this is not a jackal. It’s a wolf. 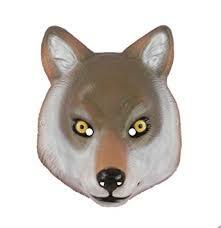 But it looks enough like a jackal to pass, and the only true jackal masks I could find were expensive masks of Anubis. Elephant – Plushy, cute and comfortable. 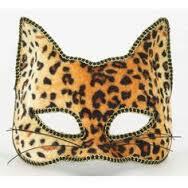 Leopard – Simple and elegant, leaves the mouth free for talking. Rhino – This one looks a little too peach-toned in the picture, but it should be easy enough to gray it up a bit with a dry-sponge technique. All the others I could find were expensive, full-face, adult-sized masks. 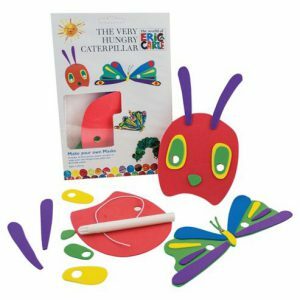 The Long One (caterpillar) – This is a do-it-yourself craft mask that kids should enjoy putting together.